Stories take time — a lifetime, sometimes — and the actual setting down of them can be simply the culmination of a very long process, the plucking of the fruit from a tree that took years to mature and finally produce. It’s a little like the oft-told story of the “overnight success” that took twenty years to achieve. But in Foote’s case (he died last March, 10 days shy of his 93rd birthday) it’s not just a matter of long experience bringing forth a story. It’s a matter of long experience in learning how flexible the theater can be, too. 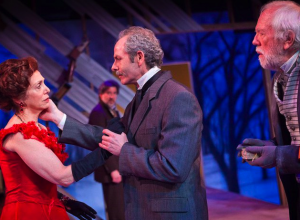 The Carpetbagger’s Children, for all its apparent traditionalism, breaks all sorts of rules about the stage — and it breaks them exceptionally because it’s learned the exceptions to the rules. This is a memory play, and it’s told by three actresses, and “told” is the correct word: They take turns delivering long, carefully wrought soliloquies, speeches that overlap in theme and content (told by each sister from a slightly different point of view) but never overlapping in delivery. There is no dialogue, no pretension of ordinary conversational speech patterns, no give and take, except in the incidental clashes in the way the stories are told. How could something so “undramatic” be so gripping? Because Foote knew story, and he knew the surprising elasticity of the theater, and he trusted that good performers would know how to bring life into the words that he put down. Remember, this is the guy who wrote the screenplays for To Kill a Mockingbird and Tender Mercies. Not ordinary tales. But that’s the beauty of the things. I once commented in exasperation that watching a Horton Foote play was like watching paint dry. I don’t think I ever actually wrote those words for print, which is a good thing. I don’t even remember what particular incident inspired them. It must have been, I can only hope, a particularly ham-fisted production of one of his plays. Because although nothing much “happens” in a Foote play, at least in the sense of slam-bang Hollywood action, worlds turn, as they do in Chekhov. 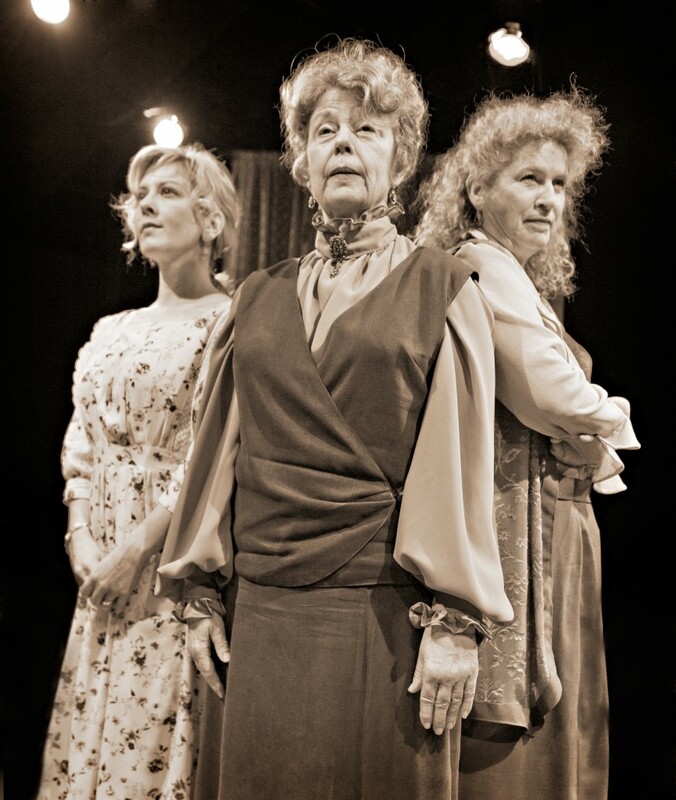 The director of Profile’s production, Jon Kretzu, has a longtime affinity for Chekhov, and it shows in the way these three able actresses turn softly (and sometimes harshly) on a dime. If the journeys they take are largely internal, they have external effects. This is the story, in a way, of a Southern empire crumbling, more quietly than the crumbling empire of Tennessee Williams’ Cat on a Hot Tin Roof (which opens in revival later this month at the Oregon Shakespeare Festival) but crumbling nonetheless. And that’s a fascinating, troubling, sometimes even exciting thing to see. Briefly: A young Union soldier, fighting against the Confederates in Texas during the Civil War, likes what he sees and comes back, after the war, as a reconstructionist. Through shrewd business dealings and the aid of the triumphant Republican apparatus, he amasses a fortune in money and land, which he considers his offsprings’ duty to hold together. 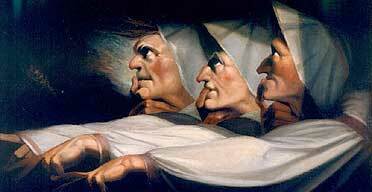 It’s up to sisters Cornelia (Jane Fellows), Grace Anne (Jacklyn Maddux) and Sissie (Val Landrum) to achieve that as the decades roll on. Well, they can’t. Surprised? But the effort shapes each, and several other characters alluded to, in intense and often warping ways. That’s the way of the world. 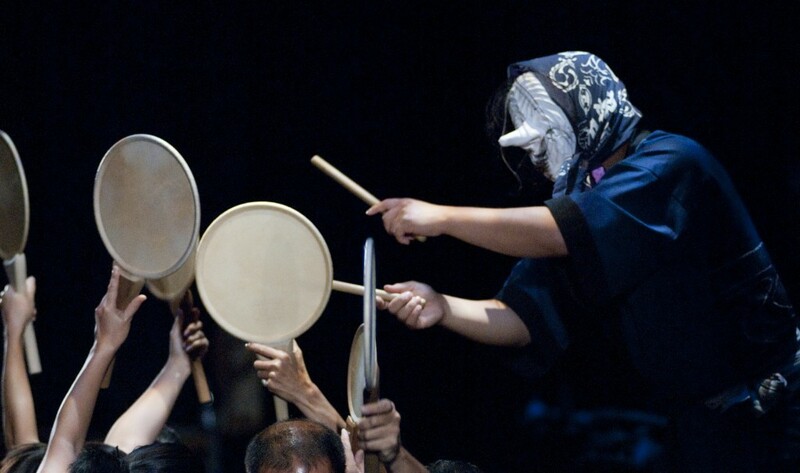 And without going into more detail, the plain old brutal way of the world is what the play’s about. With Tim Stapleton’s simple but familiarly domestic in-the-round setting and DeeDee Remington’s spot-on costumes, it’s a handsome production. The three stars settle with warm fury into their characters. Nothing much “happens” except life and death themselves.Â And paint does not dry.